One of the most popular varieties of bingo played online is a version known as 90-ball bingo. The name of course comes from the number of balls that are used in the game. These balls are numbered from 1 to 90. They are then are randomly selected and the numbers are called out to players so they can mark them on their bingo cards. While the basic play of 90-ball bingo is somewhat similar to other versions, the bingo card used in this game is not. In comparison to other bingo cards it is quite different. The bingo card used in 90 ball bingo is made up of three rows divided into nine columns. This creates a total of 27 spaces on the card. However not all of these 27 spaces are filled with numbers. In each row only five of the nine spaces have numbers in them. As a result four spaces are left blank. Overall this creates only a total of 15 numbers on each of the bingo 90 cards. The first column of the bingo card would include the numbers 1 to 9 and then the second column that have numbers 10 to 19. This pattern continues across the bingo ticket until the last column which would feature the numbers 80 to 90. Another unique aspect of the card used for 90-ball bingo is that it is used for three games. The first bingo would be that a player has covered all of the numbers in one row. After this first bingo winner is declared the game continues without clearing the ticket. The next bingo would happen when a player has covered all of the numbers in two rows. Again following this a game would go on until someone has covered all of the spaces on the onlinebingo card. This is known as a full house and generally the winner of this would receive a larger prize. 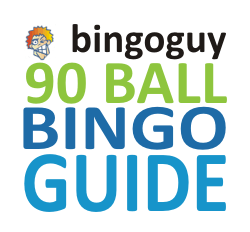 If you are new to 90-Ball Bingo, you should really give it a try. When you learn to play bingo 90 you will soon realize what all the fuss is about. 90 ball bingo is the most popular bingo game in the UK and is offered at all of our top UK bingo sites. 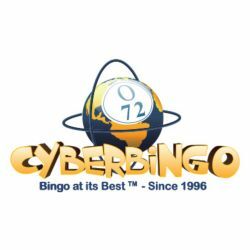 To learn more about these sites please check out our uk online bingo sites page. If you just want to jump straight to our top bingo 90 site than read our SunBingo Review. You can learn more about 90 ball bingo on the Bingo UK Wikipedia page. If you play let us know what you think?